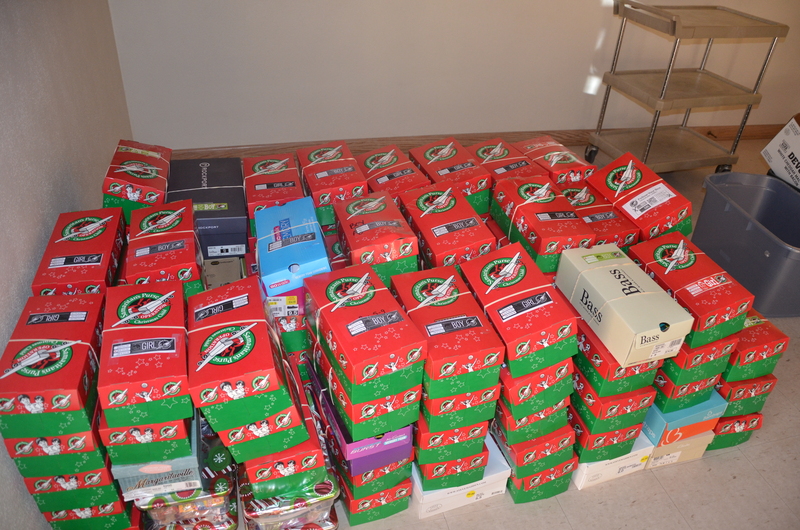 Operation Christmas Child Shoeboxes 2018 – Good News! Great Joy! 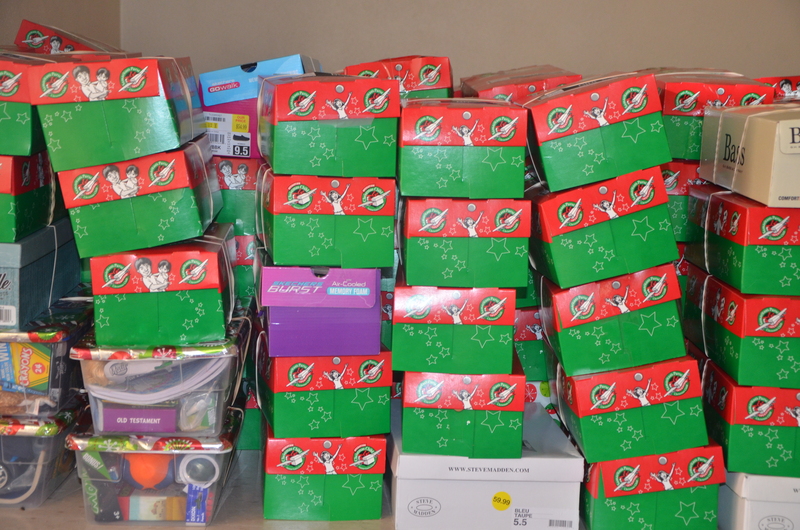 Martin Luther Church participated in Operation Christmas Child for their fourth year. This Mission Project was our focus for October to mid-November. 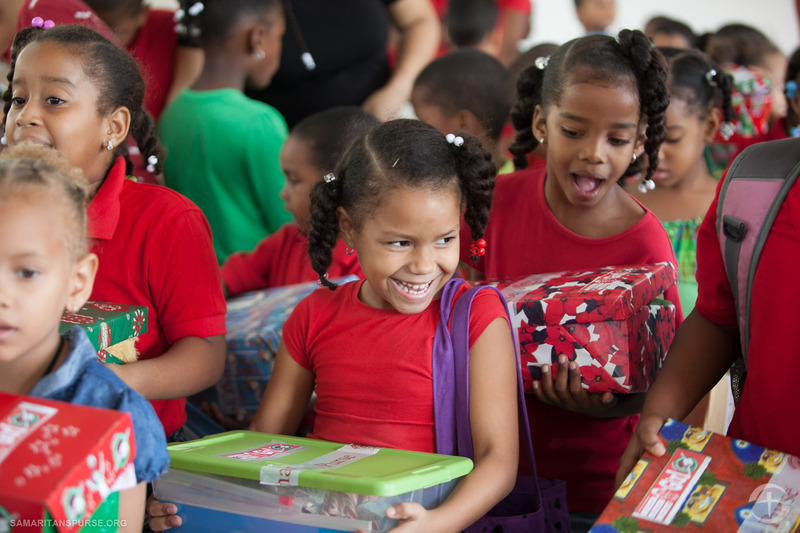 Operation Christmas Child was started over 20 years ago by Samaritan’s Purse – a nondenominational evangelical Christian organization led by Franklin Graham. From our youngest to our oldest members, shoebox gifts were packed to be a blessing to children in need around the world. What’s in a box? A “wow” item such as a doll, soccer ball with pump, stuffed animal, or a small toy. Hygiene items, school supplies, and wearable items such as flip-flops, t-shirts, hats, etc. fill up the box. It truly is astounding how many thoughtful items can be used to fill those boxes! On November 13, 135 boxes were taken to our nearest collection point which was Tecumseh, Nebraska. From there they were taken to a processing center (Denver for our area) where thousands of volunteers prepare them for international shipping. The shoeboxes will travel to children in over 100 countries. The transportation by volunteers is completed by various methods! 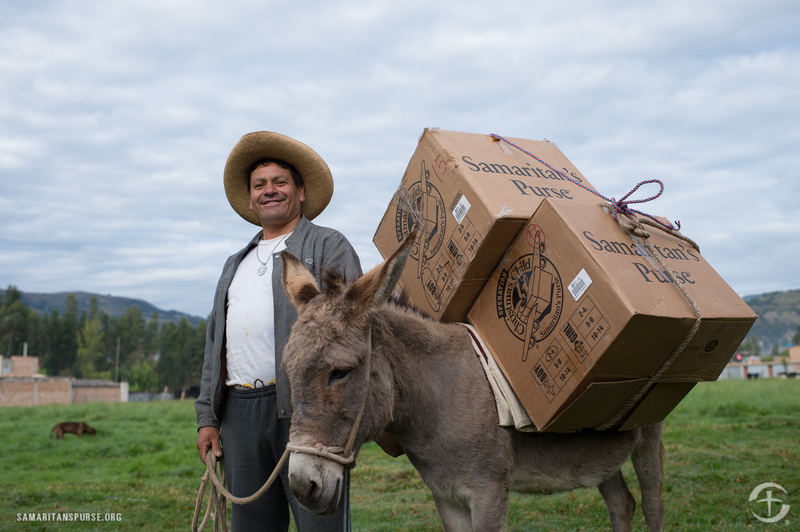 The shoebox distribution results in evangelism and discipleship. 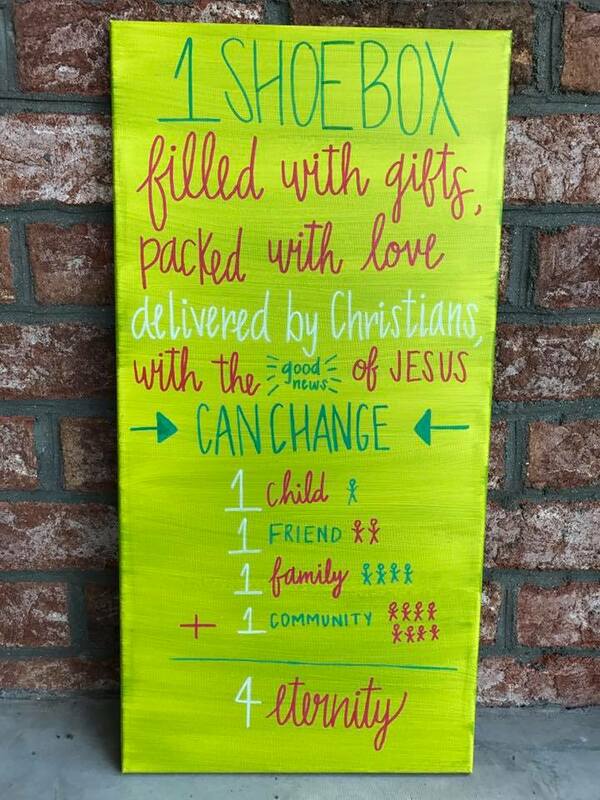 Pastors and trained volunteers host the shoebox distributions in places where people may not know Christ or as resources for outreach in orphanages and other at-risk areas. “The Greatest Gift” a Gospel story booklet developed for shoebox recipients by Samaritan’s Purse is distributed with the shoeboxes. Boys and girls across the globe have an opportunity to learn about Jesus. Kindness and caring at MLC – inspired by Jesus, our Lord – resulting in great joy!